Rotavirus is quite contagious disease that is easily transferred from person to person. Most often, the infection occurs when the violation of elementary norms of hygiene, or when improper food handling. This infection affects people of all ages, but most affected children up to six years. 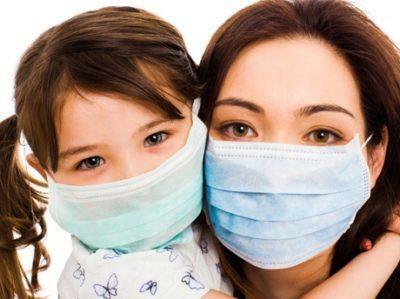 In large families especially urgent problem is the prevention of disease, especially if the house is already sick person. There are a few tips on how not to get infected with rotavirus in contact with the patient. Contact-household, in contact with the ill person or through things used by the patient. 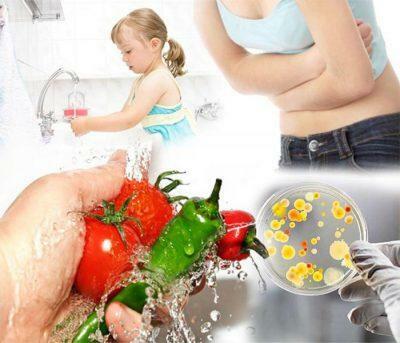 Food – through food that is contaminated by pathogenic microorganism. Most often it is fruits and vegetables that are washed improperly. Water – the consumption of water, which is the causative agent. This contamination often occurs when you swim in open water in summer. Intestinal infection in some cases is very hard. The patient has a high body temperature, nausea, vomiting and diarrhea. In addition, there is watery eyes, runny nose and sore throat. To recognize an intestinal infection easy. If a person has constant indigestion, which is complemented by signs of respiratory infections, we can talk about the rotavirus. A person is considered contagious for the entire time until he hurts. In addition, he identifies pathogens approximately two weeks after decrease acute symptoms of the disease. In this time period it is possible to contract it by rotavirus through the interior or the toilet. After the patient has not symptoms of the disease, you still need some more time to comply with the enhanced hygiene measures, treat all surfaces with a disinfectant solution and often ventilate the home. Highlight the patient separate utensils, towels and other items. Utensils of an infected person washed with warm running water, then pour over boiling water or boil. Frequently wash towel, before washing pre-soaked in dezinficiruyusch solution. Person who is caring for patients should wear a gauze mask regularly change and wash your clothes and wash your hands often with soap and water. The bathroom and especially the toilet wash often with the addition of chlorine. Floors and all surfaces wipe many times a day with the addition of chlorine agents. These measures can not be infected with rotavirus infection, which is very weakens the immune system. If a child who attends kindergarten or school, the teacher is informed. After that, the group or class is quarantine, during which accept only healthy children, without the slightest sign of the disease. The quarantine for the rotavirus usually lasts two weeks, with the count beginning from the last case of the disease. All surfaces that come into contact with children, well washed and processed special means. In the bathroom bowl Genoa and pots are treated with a concentrated solution of chlorine. The dishes for the group or class there are separate, it is washed separately from other kitchen utensils. Bed linen and towels are replaced frequently and wash them with hot water. At the time of quarantine in kindergarten or school does not accept new children, and those absent in the period of registration of the first case of infection. To abandon breast feeding for the entire period of the disease. You can temporarily transfer the babies to formula milk or Express milk and then boil. Possible to take a break from baby care. If this is not possible, the woman wears a gauze mask and thoroughly wash hands before touching the baby. 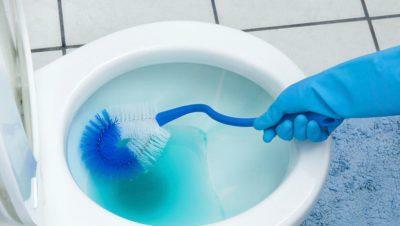 Toilet, bathroom and kitchen is often cleaned. In the room where the child is, regularly wipe all surfaces and the room air. Possible ailing mother isolated in a separate room, and care for a child lay on dad and grandmothers. This approach will help you not to infect a young child with rotavirus. Lactating woman during treatment should not forget to Express milk. This measure will help to maintain lactation and continue to feed the baby breast after recovery. The incubation period of rotavirus can vary considerably and range from several hours to weeks. It depends on the human immune system and the presence of certain chronic diseases. Because of this incubation period, a person does not know that it hurts, and continues to have contact with a wide range of people. If people learned that someone from his circle of friends was sick of this infection, he begins to worry and think what to do. For the prevention of rotavirus infections in adults after direct contact with patients can take antiviral drugs – «the Doctor», «Isoprinosine» or «Arbidol». In most cases this allows to avoid intestinal infections. A good preventive measure are vaccinated against rotavirus. Do them a few times, and this is enough to protect yourself or your child from illness a couple of years. Patients with rotavirus is put into the separate boxes or poluboks, but in the latter case, in both houses should be people with the same diagnosis. 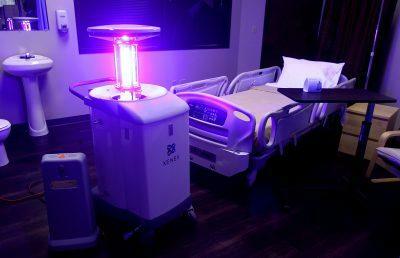 Restrict movement of patients an intestinal infection along the corridors. Often wash chamber disinfectants and Quartet. To ill a large number of people in the infectious diseases hospital, patients with rotavirus is put in a separate wing. If this condition is not observed and such persons are located in the vicinity of other patients, it is facing an outbreak of the disease. Wash your hands often, especially after the streets and toilets. Boil drinking water or purify it by other means. While swimming in the waters trying not to open his mouth. It is good to wash fruits and vegetables and then rinse them with boiling water. Rotavirus infection is diagnosed very frequently in children and adults. At the time begun treatment she no complications and completely goes away in a few days. It is very important to organize good to a sick person drinks to replenish lost fluid.